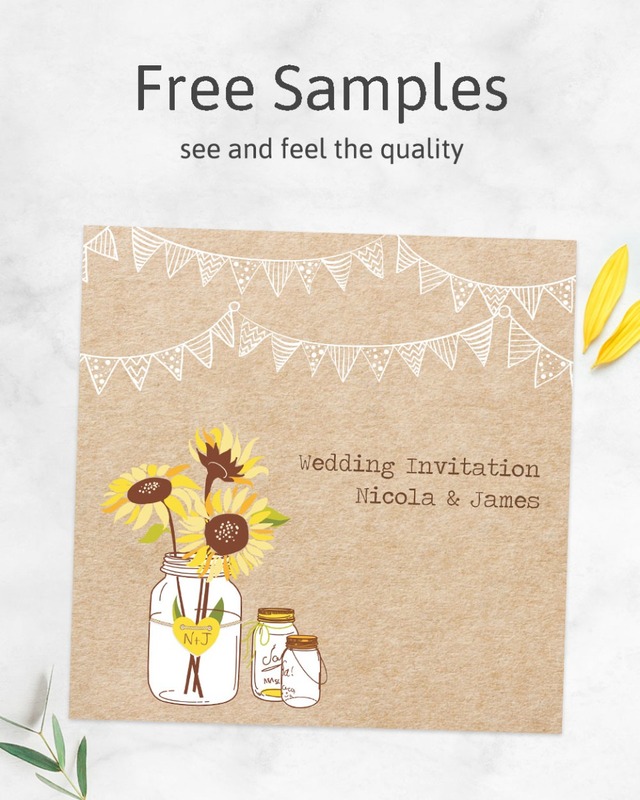 Plan for a whimsical country wedding with this wonderful invitation suite! A rustic brown paper backdrop sets the cosy vintage atmosphere. Your personalised wording is printed amidst strings of festoon lights and mason jars bursting with floral bouquets - the favourite decorations for barn weddings! The botanical glass jars are even decorated with a romantic love heart pattern. The bundle, featuring an invite and RSVP, is wrapped in twine string with a tag.